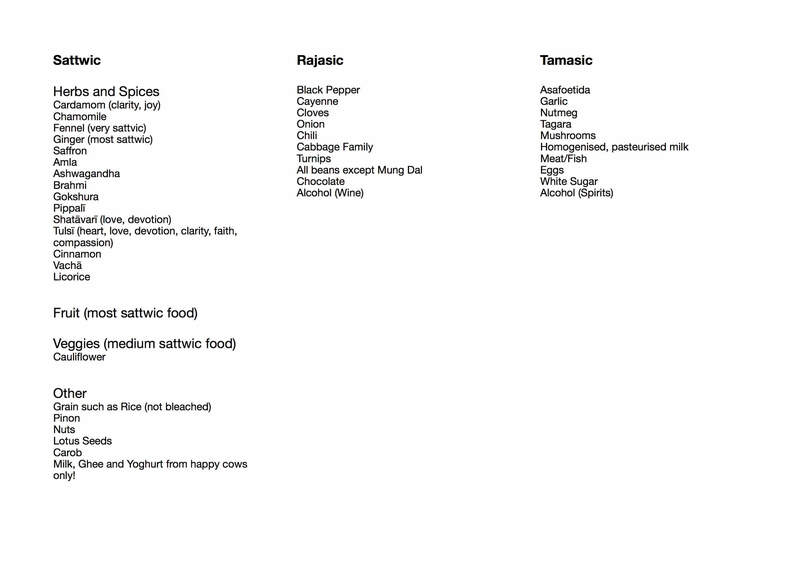 According to Ayurveda food influences not only our body, but also our mind. Our body, mind and soul are connected, so if we eat some bad food that is not beneficial for our health. First our body will react to in negatively, then our mind will be unease, bothered and disturbed. A good digestion is everything, when your digestion works perfectly, you are overall healthy and you will hardly ever be sick. It is so hard to follow a certain diet and to cut out so many ingredients we are usually eating without being aware of the consequences. Everything seems or sounds hard in the first place, but believe me it is possible. And sometimes you do not even have an option. In the end there is only one way to happiness, which is embracing your body and providing it the best food possible. By doing that you provide yourself with self love. Don’t be upset with yourself and don’t put yourself down for not being perfect. We all have flaws and our food cravings. It’s ok to give in, I’m a vegetarian, but I never told myself that I want to be 100% vegetarian for the rest of my life. I let it happen naturally and followed my intuition. This is were it took me. All the way to India and back! First of all I will explain you the basics. There are three Sankrit words that describe the three different kinds of food. The first one is Sattwic (Sattva) it means pure. Sattwic food will make you calm, alert, kind, and thoughtful. There are certain spices that are considered to be very pure, one of them is ginger. Fruit is thought to be the most sattwic food. The second type of food is called Rajasic (Rajas). Rajasic food creates a mind that is too active and always seeking diversions. The last type is called Tamasic (Tamas), which means poison. It is poison for the body and thus for the mind. Tamasic food will create a dull and lethargic mind. White sugar, meat and alcohol are very common examples for tamasic food. You might be shocked now, so was I. First of all I want you to let it sink and be aware next time you consume any of the food on the list. Just be aware of the effects the food has on you. Does it make you tired and lazy? Does it give you good energy? Is your digestion fast and efficient? Do you feel heavy or too full after a meal? Try to observe yourself, your body and also your mind. Are you more efficient at work or do you have a hard time focusing? My main focus is not to tell you what to do. I only to provide you with information, so that you can be more aware. This is a journey each of us have to take on their own. Nobody can do it for you. Going to the doctor to get some drugs prescribed is an option, but the root of the problem won’t disappear. Some of you are suffering from a disease or digestive problems and some of you don’t. You can’t start early enough to eat healthy and that’s how you can prevent illnesses later in your life. If you have any requests don’t hesitate to email me.